The final report for 2017 on the Catalyst Endowment: Heritage programme – launched in 2012 by HLF and the Department for Digital, Culture, Media and Sport (DCMS) – says UK heritage organisations ‘will be more resilient and less reliant on public funding after attracting £53m of private money for US-style endowment funds’. The pilot scheme, designed to bring new money into the cultural sector, successfully boosted endowment fundraising in the UK heritage sector by offering match-funded grants between £500,000 and £5m. Although a third of applicants failed to reach their match funding the other two-thirds of the 31 heritage organisations raised a total of £53.3m of private investment. Combined with HLF’s matched funding of £29.8m, it brings the total investment in UK heritage to £83.1m. Grants were awarded with varying match-funding ratios with the V&A receiving £1 from the HLF for every £3 raised in private donations and for the Abbotsford Trust, for every £1 raised HLF matched it with £1. The Mary Rose Trust, the Old Royal Naval College in Greenwich, the Bowes Museum in County Durham, London’s National Portrait Gallery, SS Great Britain in Bristol and the Abbotsford Trust in Scotland were among those organisations that completed their fundraising target in full. Others managed to raise part of their target funding and will still benefit from an endowment from which they can draw ongoing income. The programme has successfully kick-started and developed endowment fundraising amongst grantees, with the majority of grantees intending to continue fundraising for an endowment. The matching element of the grant was widely viewed as an important driver for success. This ‘offer’ created opportunities to start conversations with potential donors about endowments, and was appreciated by donors who wanted to see the value of their contribution increased. There were numerous non-financial benefits to the grantee organisations of having the Catalyst: Endowment grant. Getting new opportunities from donors, stakeholders and others because the grant impressed them; receiving in-kind donations; and trustees and patrons bringing in new donors from their contacts were all mentioned as being added value for the project. Grantees that did not complete funding experienced a range of internal and external reasons that impeded their success but there was no evidence or lack of interest or effort. The pilot sought to improve fundraising within heritage organisations but external factors such as the economic downturn had a greater impact than was anticipated. It is harder to encourage donors to give to an endowment in favour of other more tangible, immediate projects. Endowments often do not align with the philanthropic aspirations of many donors, including high net worth individuals and corporates, who wish to donate to achieve immediate impact. Building on Catalyst Endowments, HLF launched Heritage Endowments in 2016 with 15 heritage organisations awarded match-funding grants up to £250,000, £500,000 or £1million are due to complete during 2021. It says the early feedback from these projects and learning from the Catalyst projects will inform itsnext Strategic funding framework, which will be announced towards the end of 2018. The Bowes Museum in Barnard Castle, County Durham received £1million towards creating a £2million endowment fund. It will now generate income to support the Museum’s internationally significant collections of fine and decorative arts including its famous Silver Swan, a musical automaton dating from 1773. As a young charity, new to fundraising, asking people for donations was a relatively new concept for the organisation. Previously the Museum had relied largely upon local authority funding but was aware that it needed to diversify its income streams to protect it from future public sector funding cuts. The Catalyst Endowment grant enabled the Museum to tap into donors in a way it hadn’t been able to before. As well as HLF offering matched funding, donors were drawn into the concept and also gave to the fund along similar lines. A triple match-funding offer was put in place. So, for every £10 with Gift Aid the Museum raised, one of the Museum’s long-standing donors doubled it to £25, The Friend of The Bowes Museum doubled that to £50, and HLF doubled it in the Endowment. In effect every £10 raised with Gift Aid, became £100 in the Endowment. 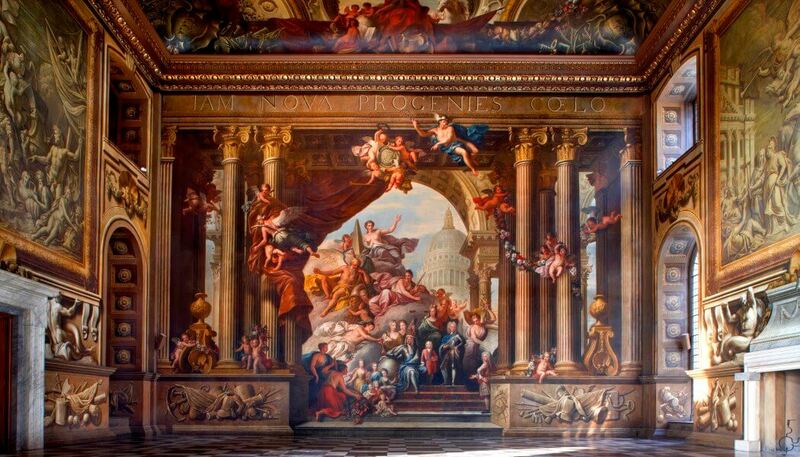 The Painted Hall and Chapel at the Old Royal Naval College, Greenwich received £1million towards creating a £2million endowment fund. It will now generate income to support the conservation and running of these two buildings, designed by Sir Christopher Wren and situated in a UNESCO World Heritage Site. Rather than targeting larger donors, the Old Royal Naval College team focussed on donation box fundraising and spent time training and engaging staff in the process of fundraising. It represented a huge cultural shift for the organisation which it has been able to continue. Future matched funding should be accompanied by a budget for fundraising training and skills development in order to ensure that grantees are well-placed to maximise the opportunity of being able to offer a match. The HLF could help share learning with grantee organisations, perhaps as part of the networking and learning sessions or as training sessions or self-help guides on a range of topics. HLF could offer more support to grantee organisations, especially when they are aware that an organisation is struggling to reach its fundraising target. (At present grantees can access funding through the Resilient Heritage programme to review their organisational strategies and plans more broadly, and some grantees have taken advantage of this). Encouragement to write long-term strategies and business plans beyond the grant period. This could be part of a future grant programme. Offer more advice to applicants before awarding grants on what an organisation needs to be aware of and have in place before starting fundraising, such as having senior-management buy-in and coping with multiple priorities when the endowment exists alongside other fundraising projects. Encourage organisations to set-up a legacy scheme so that legacies can be channelled into their endowment during the grant period, and then can be used for either topping-up the endowment or for other projects in the future. HLF could also share learning on the value of a matching scheme for organisations starting an endowment without being part of a HLF programme. For example, organisations may wish to engage other donors who understand the purpose of leveraging their contribution in this way as match funders.